K-LOVE & KISSES 2014 – PART 2: ALPHA, BETA, ZETA. What else new and interesting is to be found under the hood of KIS 2014, missioned to save your data from the cyber-swine? Today’s guest star is ZETA Shield technology. ZETA Shield I think might be best described as a high-tech antivirus microscope for the detection and elimination of the most cunning of malware, which hides deep in the bowels of the inner recesses of complicated files. In short, this is our unique defense technology against future threats, one which can track down unknown cyber-contagion in the most unexpected places. To understand the concept better, let’s take a set of traditional Russian dolls. Antivirus should unpack the nested essence of malware like a Russian doll. But it’s not quite as simple as just that. Open one and you find another inside, and nested inside that one – another, and so on and so on. And in terms of where troublesome programs hide, this is a pretty good analogy. Malware tries its hardest to embed itself into the very essence of its surroundings, and even uses digital ‘plastic surgery’ to change its appearance and hide from antivirus programs. It puts itself into archives, crypto-containers, multimedia files, office documents, scripts etc., etc. – the possibilities are endless. The task of the antivirus program is to delve into the actual essence of all these different objects, probe the interior, and extract the malware. So that’s it? Well… no, it’s not quite as simple as just that. 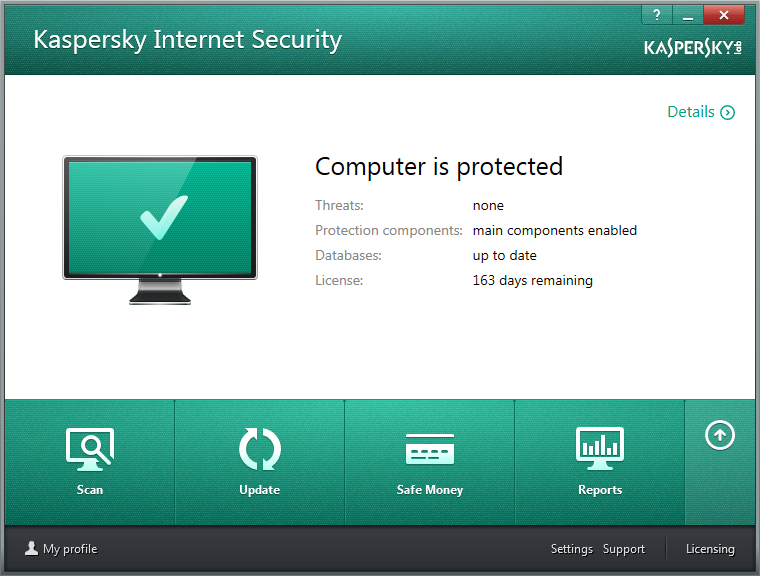 Antivirus programs have long been able to take apart complicated files. For example, ever since the early 90s other companies have been licensing our antivirus engine in particular because of its ability to unpack archived and packed files. But unpacking is only half the job. You need an instrument that’s clever enough to not only take apart complicated files but that can also analyze these ‘Russian dolls’, understand what’s doing what in there, build connections between different events, and finally diagnose; importantly, to do that proactively – without classic signatures and updates. It’s a bit like the detective work that goes into locating potential binary weapons. Such weapons are made up of individual components which on their own are harmless, but when mixed create a deadly weapon. And this is where ZETA Shield comes in. And just in time too, as the number and perversity of both targeted and zero-day attacks are on the up and up. These are the very things ZETA is designed to deal with (ZETA = Zero-day Exploits & Targeted Attacks). Revenge can be sweet, especially against patent trolls. Payback can be slow – painfully slow – in coming, but thankfully, at last, it does seem to be showing signs of finally arriving and hitting some most unsavory types – patent trolls – squarely in the nether regions. I’ve already waxed lyrical here about trolls and what needs to be done to up the fight in tackling this scourge. The main thing: not for ideas to be patented, but their concrete practical application. Sometimes it seems like US legislators read my blog! Finally, something is getting done – and not just anywhere, but in the state of Vermont, where the first anti-troll law has come into effect! There’s a lot of interesting stuff in this law, but what I like most in it is that now a defendant company can demand from a patent troll reimbursement of all its legal costs if it manages to prove that the troll acted not in good faith. More: Special thanks for the law go to … a patent troll! There’s a Russian saying that translates roughly something like ‘live a century, you’ll be amazed for a century’. Meaning, I reckon, that when you think you’ve seen it all, you in fact won’t have. For me, this applied to the trip I made to the city of Magdeburg recently, for it did just that – amazed. In the center of the city there’s a totally incongruent large residential/commercial building known as the Green Citadel of Magdeburg. Just check out the colors, shapes and patterns! You seen anything quite like it? The artist responsible for this architectural aberration is Friedensreich Hundertwasser, a Gaudi for the late 20th century. 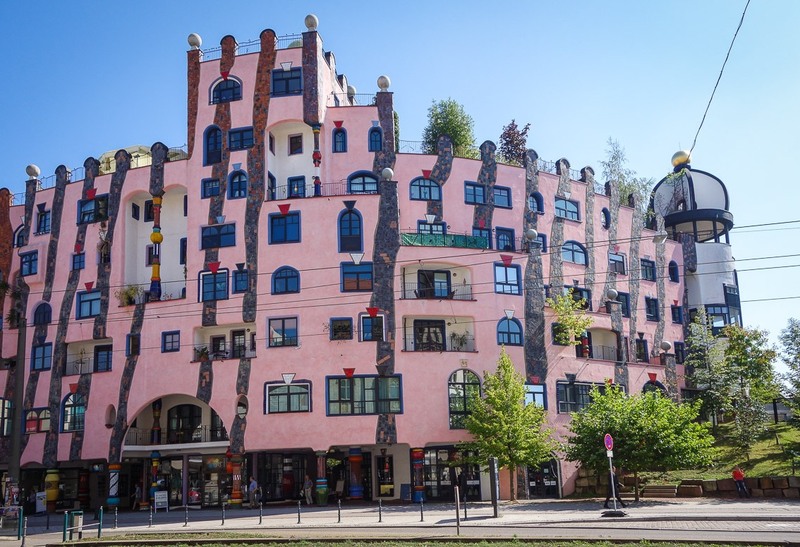 This is just one of the many buildings he transformed into a masterpiece across central Europe – in his totally original and mind-blowing style. This Austrian was a true maverick, so I’m a fan for sure. He believed that folks shouldn’t live in box-like houses that are all the same, and that inhabitants should be encouraged to paint or in some other way change the walls around them. And that meant interior walls too. He was also into converting disused factories into avant garde pieces of art. More: What were we doing here in the first place? The leader who gave the world hope. Today is a special jubilee of the greatest living person on earth. Today is the 90th birthday of Lee Kuan Yew, the founder and indisputable leader of the city-state of Singapore, without whom Singapore today would be a very different place. This is the man who turned a backward non-entity of a place into a flourishing nation, a dream city – an example for all the other countries in the world. So what was Singapore like before? In 1965 Singapore didn’t just become independent as many nations do – it was forced to become independent after having been thrown away much like unwanted garbage. It was a tiny group of undeveloped islands with very little going for it, which no one in their right mind considered either credible or potentially viable. People in their right mind tended not to consider it at all in the first place. It was wretched territory – marshland and an overall mess of a territory on which pigs and cows grazed. No natural wealth, not even drinking water (and apparently still none). Unfriendly (to put it mildly) neighboring countries. A semiliterate population, and a strong communist influence (including outside support). Interethnic conflicts; a population made up of Chinese, Malay and Hindus – three very different religions. No army; no loyal police force. Corruption with a very BIG capital letter. Besides the British military base and the sea ports there was practically no other business at all. Dirt, poverty and nothing to look forward to. That was in 1965. I’m currently on a trans-Europe express road trip. And along the way I keep coming across such unusual sights that I feel I’m simply duty-bound to share them with the world’s more progressive readers of blogs. Ok? 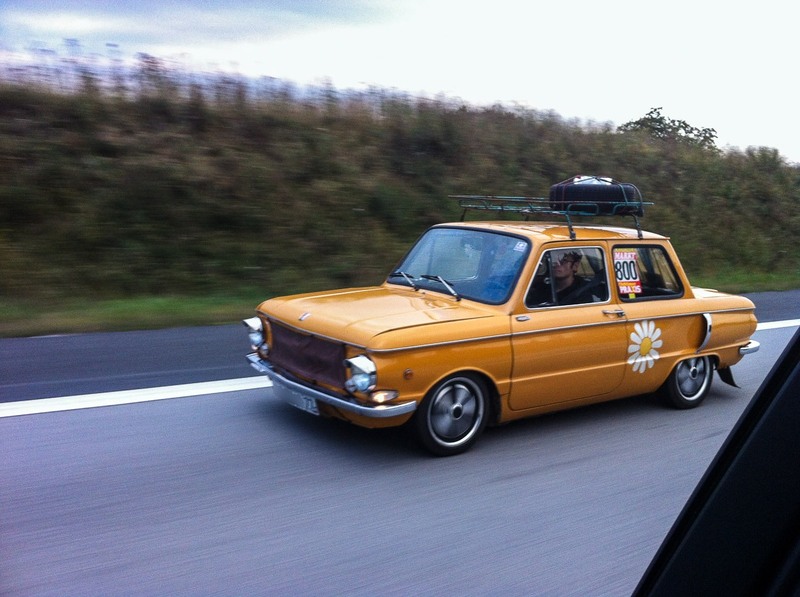 What cars do you generally see on the German autobahn between Frankfurt and Hannover? A lot of fast modern ones, that’s for sure. And what cars do you tend not to see? Easy: older models. So you can perhaps understand my shock surprise at seeing vintage (and all tuned-up) Zaporozhetses – with Moscow plates! What the flip? I was expecting pigs to fly past next… There they were – several of them – going hell for leather at full throttle, chugging and rattling and attracting the attention of the modern-car drivers – so much so that the traffic was slowed down to a very un-autobahn-like speed. Good gracious me. The Ukrainian retro invasion!